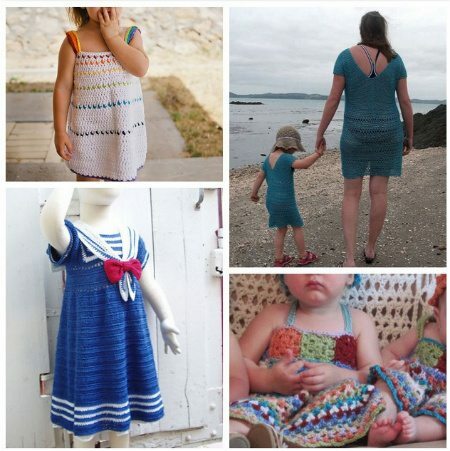 Last week I did a roundup of the best free girls’ crochet dress patterns. 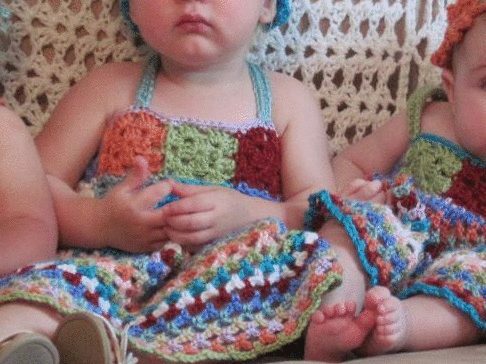 Free patterns are wonderful but it’s good to buy patterns as well so this week I’m following up, as promised, with a roundup of 15 pretty crochet dress patterns to buy online. 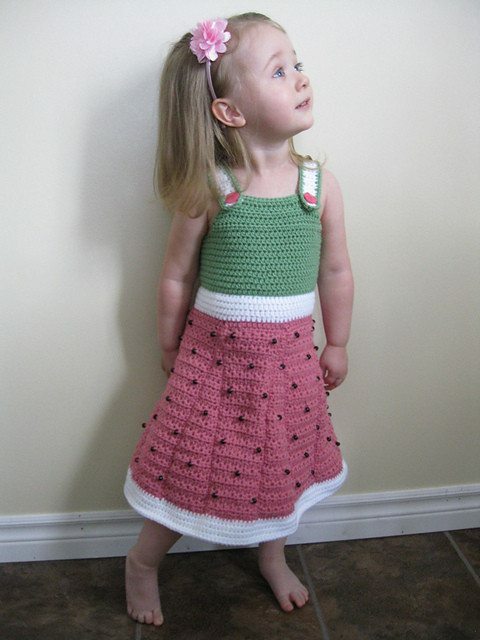 I am in love with this watermelon-inspired little girls’ crochet dress designed by Julie Lapalme. The pattern, for sizes 3/4 is sold through Ravelry. 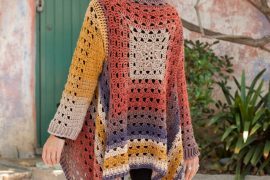 NOTE: The designer is offering a discount on the pattern to my readers when purchased within the next month (before mid-November) through Ravelry. Just enter the coupon code “melon” and get 50% off! 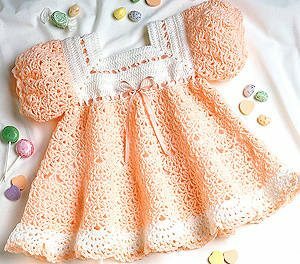 This cute crochet dress pattern form Interweave is made with tight stitches that don’t stretch a lot, making the dress a durable choice for a stylish little girl who wants to play in it! Size range from 3T – 10. The crochet pattern for this sweet little crochet dress is sold by Leisure Arts. It’s for girls age 12-18 months. Amy Dorr designed this crochet dress, with matching bonnet, to be suitable for a special occasion like a christening. The pattern is for sale through Ravelry. 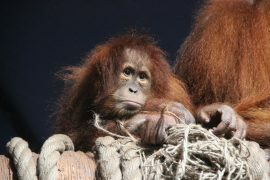 It’s sized newborn to one year. Etsy’s DewdropsDesign sells lots of crochet patterns for kids’ garments, like this dress for ages 6 month – 2, which combines ruffles and stripes for a lovely little look. 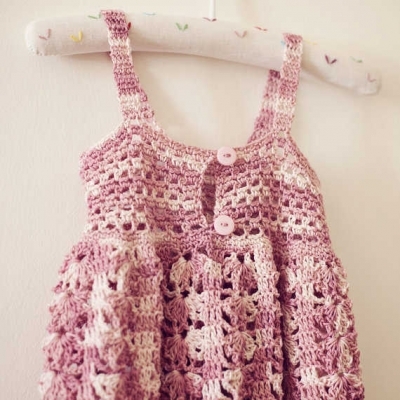 Etsy’s RAKJpatterns also sells crochet patterns for kids. 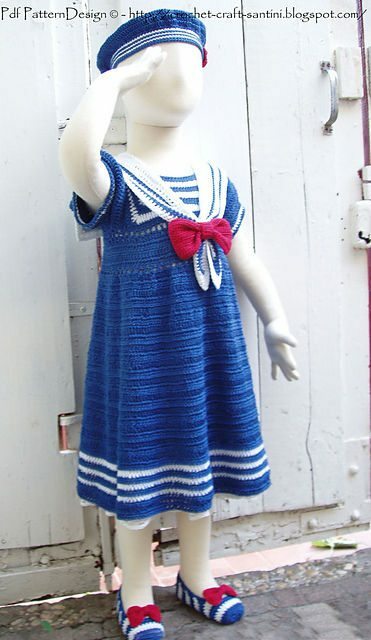 This one is the Sea Breeze Sundress, for ages 6-9 months. 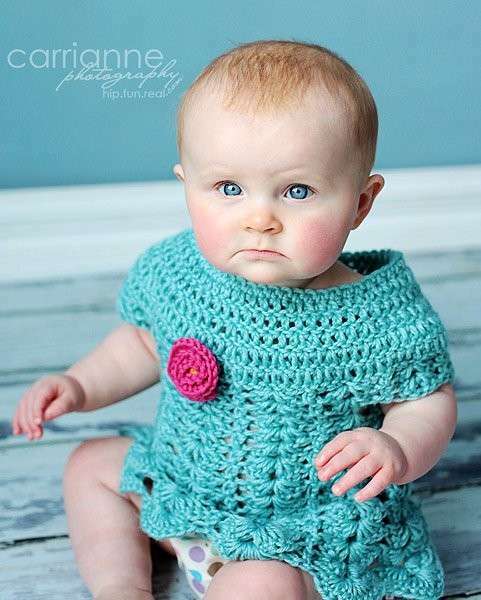 This crochet jumper dress with flower embellishments is for newborns age 0-6 months. The pattern is sold through Ravelry by Sonja Otto; hat pattern not included. 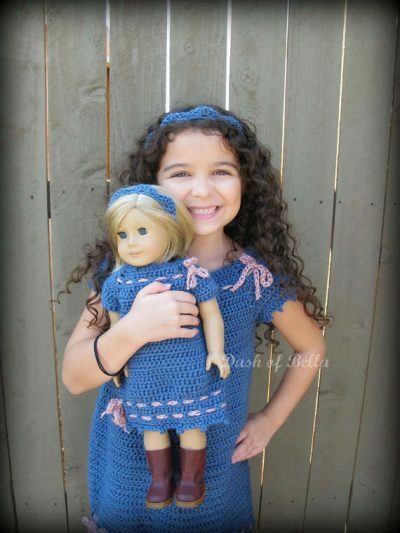 Another matching crochet dress set that you can buy patterns for on Etsy is this girls’ crochet dress and a matching pattern for her American Girl doll. It’s sold by ADashofBella. Designer Sarah Lora uses the rainbow inspiration here in a totall not-cheesy way for a super cute crochet dress; pattern on Ravelry. 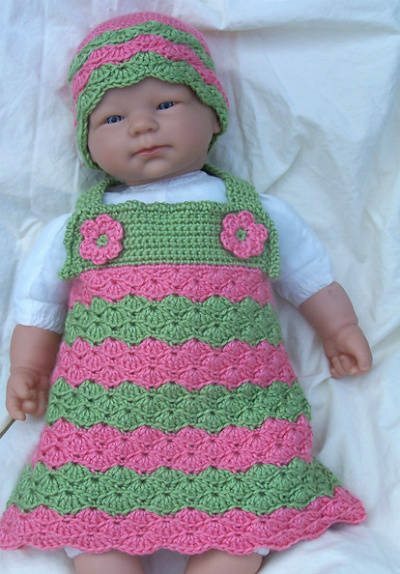 Sized for newborn to ten years. Etsy’s monpetitviolon sells several crochet dress patterns for girls including this one that is aged from nine months to five years. How cute! 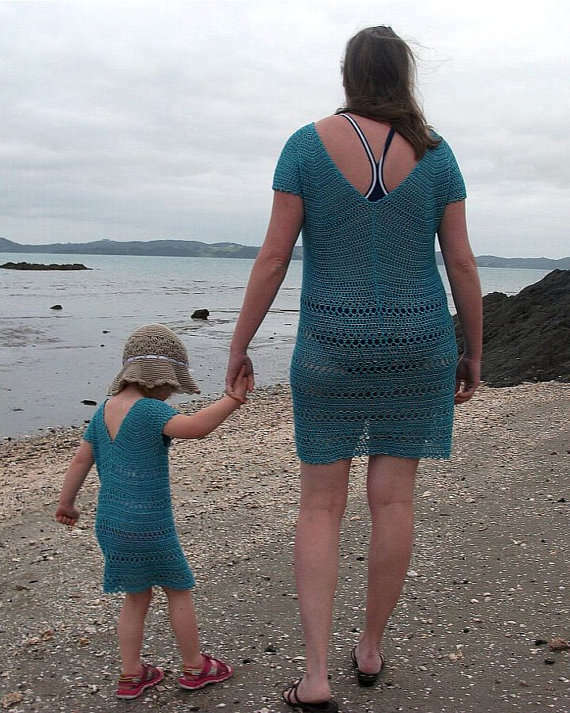 This crochet dress pattern, by Ingunn Santini, is sized from 1-6. Available via Ravelry. 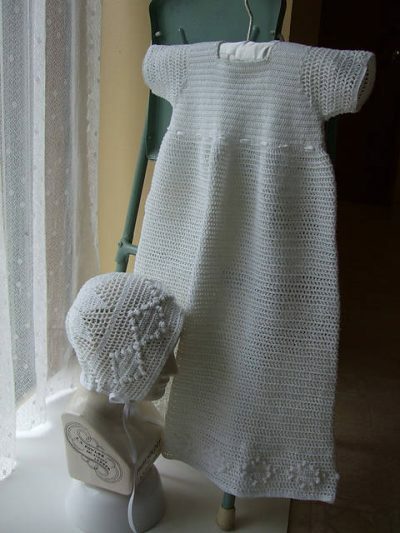 Sara Dudek made this cute crochet dress for her sister; she sells the pattern in sizes small through large so make it for yourself or make it for your teen/tween girl. 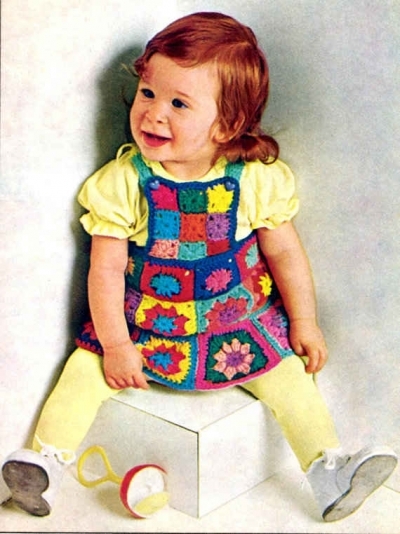 This cute crochet dress pattern is one of many vintage patterns sold on Etsy by KaysCrochetPatterns. 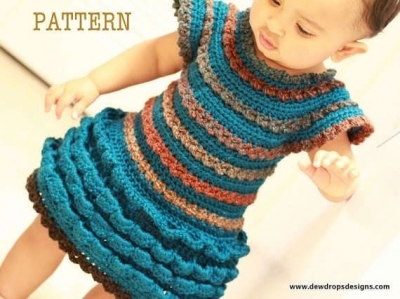 This pattern offers a modern twist on using granny squares in a baby girl’s crochet dress. The pattern by wildaboutcolor is sold through Craftsy. 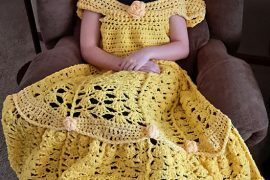 Support a crochet designer; buy a pattern today! 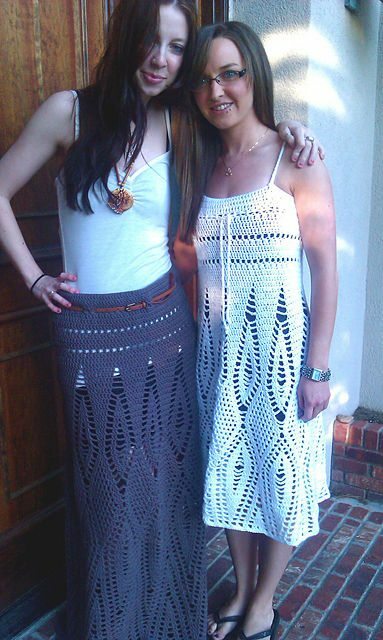 LOVE the tweens dress! My daughter is about that size. I don’t know if I’d have the patience to complete one, but it certainly looks cool enough for her! Lovely Finds. Great Job. I am so happy to be part of this list.